We might want to check the permissions for everybody on the Team over on the .net side. I discovered that I could not start a thread ---or--- post any replies! Very frustrating! If this was an actual Race situation, this could have cost the Team a good fifteen or twenty minutes! Let's make sure we have everything in order. Hi Frank. I fixed yours. Checking the rest. Have baton. CYYT-BGBW (Bluie West One!) FSX Lockheed/Virtavia F-80. Default real WX. The baton is free at BGBW. Thanks for straightening that out, Paul! I have the Baton BGBW-BIKF in the CaptainSim B722. Baton is free at BIKF. I need some night practice. Have baton. BIKF - EKVG. FSDN 727-200. 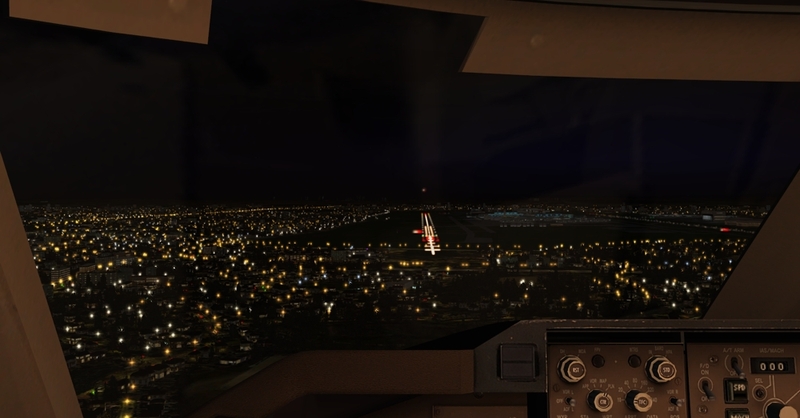 FSX. Default Real WX. I have the Baton EKVG-EGQL in the Shupe/SOH F7F-3 2015 version. Baton is free at EGQL. Have baton from EGQL to EGLL in the default FSX Boeing 747-400. Using FSXWX. Hey all, there is a new duenna version out, 2019.0202 which should resolve some problems some have reported. Please do let me know if you have any issues and as soon as you have them, only 11 days till race day and I need to be sure this Duenna is up to the task of race day. Feel free to add in extra intermediate airfields! I have the baton. EGLL to ENZV, Flying Stations Sea Fury FSX, FSRealWX Pro. Baton is free at ENZV. Weather reported as 0*C - 25*C warmer than outside my door. Ahh, the memories. Well, those days are gone. Have baton. ENAL - ENOL, FSX DeHaviland Sea Hornet Mk-20. Default real WX. Baton free @ ENOL. New duenna works. Here's an interesting screen shot from my 2D panel from the last flight. It's one thing to work on HUDs as an technician, but quite another to see them in action. Here you see the velocity vector and associated "pitch ladder" way over to the left, on account of the cross wind. In the sim, the VV was flashing, indicating it was "HUD limited" meaning the true leftward position of the VV was beyond the limit of the field of view of the HUD. In that case the computer just sticks it as far as it can go, then flashed the VV to tell the pilot "it's worse than you think...". Pretty cool. Time for this FS9 dinosaur to see if FSX works as intended. Baton is free at ENTC.